Breaking a bad habit is difficult, no matter what is. But when it comes to smoking, you're putting your health at risk with every minute, hour and day that you delay putting out your last cigarette. In addition to its role as a major contributor to lung cancer, smoking can also increase your risk for heart disease, hearing loss, stroke, broken bones and other types of cancer, including cancer of the mouth and throat. Research published in the New England Journal of Medicine study also found that smokers lose an average of 10 years off of their life, compared to non-smokers. "Most people associate smoking with lung cancer and breathing problems, but there are a host of other health risks that can occur as a result of tobacco use," says Patrick Ross, MD, PhD, thoracic surgeon and Chair of Surgery at Main Line Health. Of course-as most current and former smokers will agree-quitting isn't easy, even when the benefits are so clear. It can be difficult to turn your back on the habit, regardless of how long you've been a smoker. "While quitting isn't easy, there are many options to help you. It's no longer just a nicotine gum...now you can choose from a patch, a pill, group counseling and even hypnosis. You just need to find what method works best for you," says Dr. Ross. In your journey to quit, remember that you are not alone. Thanks to the emergence of smartphone apps and new technology, you can hold yourself accountable with daily reminders of your commitment to quitting. Websites like smokefree.gov offer daily text messages to encourage you during your journey to quit. Main Line Health is here, too. 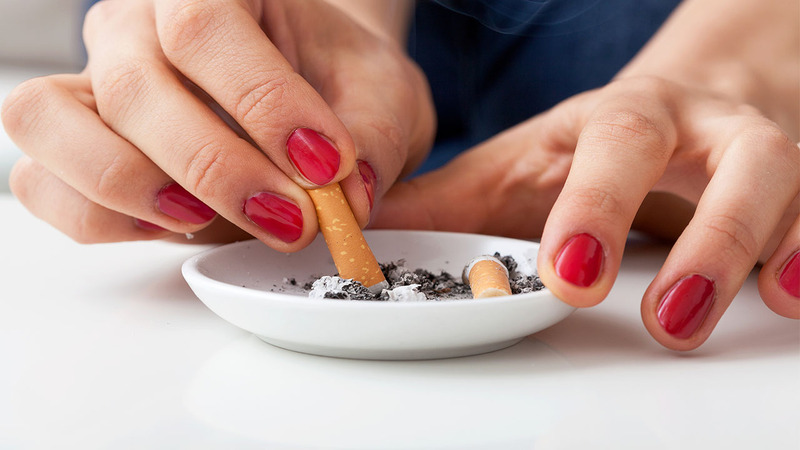 We offer a series of six-week SmokeFREE smoking cessation classes where you can meet other participants and leaders who can offer support and advice. Visit our website to register for an upcoming smoking cessation class. While smoking has been tied to more than just lung cancer, the disease still remains the leading cause of cancer deaths among men and women, and it claims more lives annually than prostate, breast and colon cancers combined. While the overwhelming majority of lung cancer cases-90 percent, to be exact-can be traced to a history of smoking, there are other factors to consider, too. Roughly 10 percent of lung cancer cases are linked to factors other than smoking. These can include exposure to environmental pollutants, secondhand smoke and a history of occupational exposures. Until recently, no screening methods had been deemed successful in detecting lung cancer at earlier stages. But in 2014, the United States Preventative Services Task Force (USPSTF) introduced an advanced screening technology-a low-dose CT scan-that could detect lung cancer early. The scan uses an X-ray beam to take images of the lungs from different angles. The entire process takes only 20 seconds, is painless and requires no blood work or IV. Results are delivered within 24 hours. Lung cancer screenings are reserved for high-risk smokers and certain non-smokers who have been exposed to environmental lung cancer risks. To learn more about whether or not you might be a candidate for a lung cancer screening and whether or not it is covered by insurance, visit the Main Line Health website. Remember, you don't need a New Year's Resolution or a Monday to mark the day you decide to quit. All you need is a personal commitment and a strong support system. Make today the day you say goodbye to smoking.